2018 has barely begun and it's already shaping up to be a very exciting year for Literary North and our friends. We have a lot of plans and we can't wait to share them all with you. But first we'll let you in on some great events happening in just the first few weeks of the new year. We hope this fresh year brings you many good things, including good books, good friends, and good health. 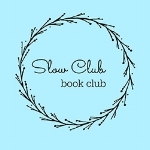 As many of you know, we're announcing the Slow Club Book Club* for 2018! Over the course of the coming year, we'll read four books we've chosen to appeal to the quiet and unhurried in us. We'll start reading our first book this month. If this sounds appealing to you, subscribe to our TinyLetter newsletter to find out more and learn the title of our first book. We really hope you'll join us. *Shout out to Robin MacArthur for our club name! Speaking of Robin, our first event of 2018 is the celebration of Robin MacArthur's new novel Heart Spring Mountain, which is being released on January 9. 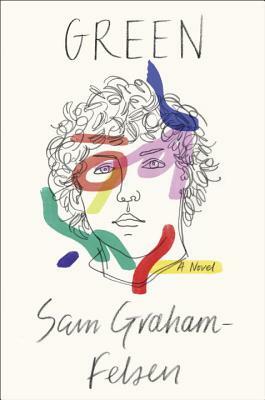 Join us at the Norwich Bookstore on Wednesday, January 10 at 7:00 pm for her first official reading. We'll be there to celebrate and provide the refreshments. Reservations are strongly recommended, as seating is limited. Please contact the Norwich Bookstore to reserve your seat. And finally, mark your calendars for JAGFest 2.0, February 9 to 11 at Brigg's Opera House in White River Junction, Vermont! JAGFest is a performing arts festival put on by Jarvis Green's production company, JAG Productions. The festival features new works that celebrate the talents of African-American playwrights and performing artists. Over the course of three days, JAG will present four staged readings of new works that are written, directed, and performed by Black theatre artists. The weekend-long festival of play readings celebrates and explores diverse, new voices in American theater. Each performance features a post-show conversation with the playwrights, actors, directors and Dartmouth scholars. Tickets are on sale now. Single tickets are $15 per performance, or buy a weekend pass that includes access to all presentations for $50! We're huge fans of Jarvis Green and JAG Productions, and are honored to be a sponsor of this incredible festival. We'll be sharing more information with you about the playwrights and their plays in January, so stay tuned! 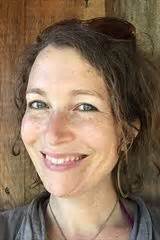 Lauren Markham reads from her non-fiction book, The Faraway Brothers, at VCFA in Montpelier, Vermont, on Wednesday, January 3, at 7:00 pm. Jenny Boully and Jill McCorkle read at Bennington College's Tishman Lecture Hall, in Bennington, Vermont, on Thursday, January 4, at 7:00 pm, as a part of Bennington's Writers Reading series. Other authors in the series include Claire Vaye Watkins, Major Jackson, Stuart Nadler, Clifford Thompson, Alexander Chee, and Allan Gurganus. See our calendar for more details. Francisco Cantú will be at the New Hampshire Institute of Art in Manchester, New Hampshire, on Sunday, January 7, at 7:00 pm, to read from his upcoming book, The Line Becomes a River. Jelani Cobb will give a talk on free speech on college campuses at Dartmouth College in Hanover, New Hampshire, on Wednesday, January 10, at 4:30 pm. Dan Chaon will be reading at the Vermont Studio Center in Johnson, Vermont, on Wednesday, January 24, at 8:00 pm. Jeffrey Lent will lead a tribute to Howard Frank Mosher at the Norwich Bookstore on Wednesday, January 31, at 7:00 pm. Come out and celebrate Mosher's final book, Points North. Fiona Mozley, whose novel, Elmet, was shortlisted for the Man Booker Prize, will be at the Harvard Bookstore, in Cambridge, Massachusetts, on Tuesday, January 16 with Hallgrimur Helgason. The reading begins at 7:00 pm. In neighboring Amherst, Massachusetts, applications open on January 1 for the Juniper Summer Writing Institute (July 17 to 24) and the Juniper Institute for Young Writers (July 22 to 29) at the University of Massachusetts. Faculty for the Juniper Summer Writing Institute includes Eileen Myles, Dorothea Lasky, Rickey Laurentiis, Dara Wier, Noy Holland, Mitchell S. Jackson, and Joy Williams. A non-refundable application fee for the Summer Writing Institute is required. There is no application fee for the Young Writers Institute. For more information about both institutes and to apply, please visit the Juniper Summer Writing Institute website. The Gregory Pardlo Scholarship for Emerging African American Poets is open to African American Poets writing in English who have published up to one book of poetry. The winner will receive a full scholarship to attend the Poetry Seminar, including room and board, and will give a featured reading at the Seminar. For more information, please visit the Gregory Pardlo Scholarship page. The Latin@ Scholarship is open to applicants that self-identify as Latin@, have a strong commitment to the Latin@ community, and are at least 21 years of age. The winner will receive tuition, room and board, and travel for The Frost Place Conference on Poetry. For more information and to apply, please visit the Latin@ Scholarship page. The Frost Place is accepting submissions for its 2018 Chapbook Competition until January 5. The competition is open to any poet writing in English. Entries must be accompanied by a $28 entry fee. For details about submitting your manuscript and more information about the competition, please visit their Competition page. Also until January 5, The Frost Place is accepting applications for the Dartmouth Poet in Residence program, a six-to-eight-week residency in Robert Frost's former farmhouse. The residency is July 1 to August 15, and includes an award of $1,000 from The Frost Place and $1,000 from Dartmouth College. For more information and to apply online, please visit their Residency page. Applications for the 2018 MacDowell Colony Summer Residency (June 1 to September 30, 2018) are being accepted through January 15. A residency consists of exclusive use of a studio, accommodations, and three prepared meals a day for up to eight weeks. For more information, please visit the Application Guidelines page. Registration is open for the League of Vermont Writers' Winter Program and Annual Business Meeting (June 27). The theme of the meeting is "New Directions, New Journeys: Writing Resources for Vermont Writers" and will be held at Trader Duke's Hotel in South Burlington, Vermont. $45 for members; $55 for non-members. Registration is open until January 24. For more information and to register, please visit the Meeting page. Hunger Mountain, the literary journal from VCFA, holds four annual contests: The Howard Frank Mosher Short Fiction Prize, The Hunger Mountain Creative Nonfiction Prize, The Ruth Stone Poetry Prize, and The Katherine Patterson Prize for Young Adult and Children's Writing. All contests are open to submissions through March 1. For more information, please visit their Contests page. Vermont Literary Review is taking submissions of creative work about New England until March 31. For more information, please visit Castleton University's website. Registration is now open for the VCFA Writing Novels for Young People Retreat (March 23 to 25, 2018). Faculty includes Donna Gephart, Nova Ren Suma, Amanda Maciel, Maggie Lehrman, and Sarah Aronson. A $200 deposit is required (refundable if the retreat is able to fill your spot). For more information please visit the Writing Novels for Young People Retreat page. Registration is also open for the VCFA Novel Retreat (May 15 to 21, 2018). Faculty includes Connie May Fowler, Jeff Kleinman, Richard McCann, and Crystal Wilkinson. A $200 non-refundable deposit is required. For more information, please visit the Novel Retreat page. The New England Review is open for poetry and digital submissions through May 31. For more information, please visit the NER Submissions page. The Bennington Review is open for submissions through May 15, 2018 with no reading fee. For more information, please visit the Bennington Review Submissions page. Joni Cole leads "Sunday Surges," a four-session, weekly workshop for fiction and creative non-fiction writers. This workshop, which meets Sundays, January 7 to 28, from 4:00 to 6:00 pm, is a great way to generate material, revise with direction, and make solid progress on your prose project. Each meeting provides you with a deadline to assure you are producing consistently. You will be asked to read aloud excerpts from a work-in-progress (three or so double-spaced pages, given time constraints) at each of our meetings. The discussion of these “surges” allows for quality feedback, and fosters teachable moments that benefit every participant in the group. $145 (minimum 4 participants; maximum 6). Preregistration is required. For more information and to register, email jonibethcole@gmail.com. Join science fiction author and 2014 NH Flash Fiction winner Ed Ting for an hour-long “Introduction to Flash Fiction” webinar on Tuesday, January 9. This webinar will take a peek at what Flash Fiction is, how you can get started writing it, and how to craft elements to make your story work. You will walk away with the tools you need to tell your three-minute story. Then, when you have your story written, join your writing peers at one of the 2018 Three-Minute Flash Fiction competitions held statewide. $10 for NHWP members, $25 for nonmembers. The event is nonrefundable. For more information and to register, please visit the New Hampshire Writer's Project Workshops page. Poet James Crews will lead a two-week, online workshop titled "Mindfulness and Writing" from Sunday, January 14 to Sunday, January 28. Examine connections between the practice of meditation/mindfulness and the act of writing fearlessly from the heart. Using quotes and other written works as prompts, we will complete several exercises each week that invite us to pay closer attention to ourselves, our lives, and the world around us as we do our best to define the term, "mindfulness," and what it means for each of us. Beginners and all skill levels are welcome. You do not need any previous experience with mindfulness, meditation or online courses; all you need is a reliable internet connection and an open mind. The cost is $95. For more information and to register, please visit the event page at the Northshire Bookstore website. Join Vermont poet laureate Chard deNiord for a Poetry Master Class on Monday, January 8, from 6:30 to 8:00 pm at the Burlington Writers Workshop in Burlington, Vermont. This workshop will focus on reading and writing poems whose speakers place another before them, and then make charged figurative connections to what Walt Whitman called “the other I am.” We will read each other’s poems line by line, examining line breaks, poetic strategy, form, intention, imagery, tropes, verbal music, and what John Keats described in his definition of “negative capability” as the ability to “exist in uncertainties, mysteries, doubts, without any irritable reaching after fact and reason.” In addition to writing poems with transpersonal speakers, we will also write a few persona poems as class exercises. For more information and to RSVP, please visit the Burlington Writers Workshop Meetup page. On Monday, January 22, from 6:30 to 8:00 pm, join poet Gary Margolis for a Poetry Master Class at the Burlington Writers Workshop in Burlington, Vermont. This workshop will reflect on the poetic line by looking at examples, including those we'll write in this workshop. Workshop participants should bring three original poems to this class. We'll also write new ones during the workshop. For more information and to RSVP, please visit the Burlington Writers Workshop Meetup page.